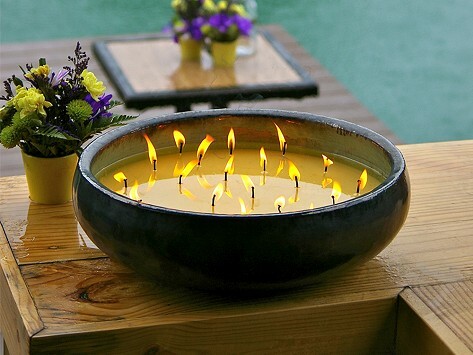 Multi-wick indoor and outdoor candle in a stunning drip-glazed reusable ceramic vessel. We loved our so much we've given them as Christmas gifts to all of our family this year. They're absolutely beautiful. When you want to add instant atmosphere to an indoor or outdoor table setting, Drea’s multi-wick candles cast a warm, inviting spell. Depending on the size, FlashPoint candles provide between 40 hours and 75 hours of burn time, and you can reuse the ceramic vessel (it makes a great container for floating candles). Each creation is a luminous work of art.